Backed by a team of adroit professionals, we have emerged as the leading manufacturer, distributor and supplier of a broad range of Shapura Saw Chain Accessories. These are manufactured using superior quality raw material and latest technology under the supervision of our quality controllers. Furthermore, these are appreciated by clients for their qualities like durable finish, optimum performance and longer service life. 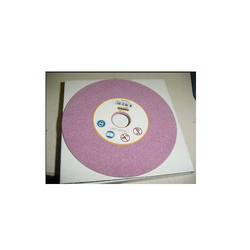 Saw Chain Grinding Wheel commonly used for Sharping Saw Chain. 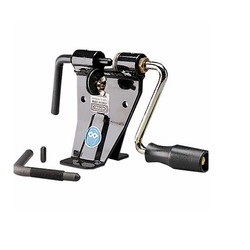 It is a common tool required for sharpening tools for better usage and efficiency. Fabricated using optimum quality factor inputs and sophisticated technology to meet the requirements of the customers. These are designed in compliance with the international standards. Owing to our rich industrial experience, we are engaged in manufacturing, distributing and supplying a qualitative range of Shapura Chain Rivet Spinners that is used for joining chain loops. The offered chain rivet spinners are manufactured using high-quality raw material and latest technology in conformity with the industrial standards. In addition to this, these are available in different sizes and patterns as per the varied needs of clients. 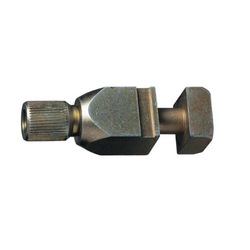 We hold expertise in the domain of manufacturing and supplying a wide assortment of a Shapura Saw Chain Adjustable Anvils which is manufactured using supreme quality raw material and advanced technology. The offered range is designed with high precision in adherence to the industrial standards. Available in various sizes and patterns, these can also be availed by clients in various specifications as per the varied needs of clients. Looking for Saw Chain Accessories ?